"X-Men: Days of Future Past" is projected to be the fifth best Memorial Day holiday weekend debut in box office history over a four-day period, just behind "Fast & Furious 6" and above "The Hangover 2." 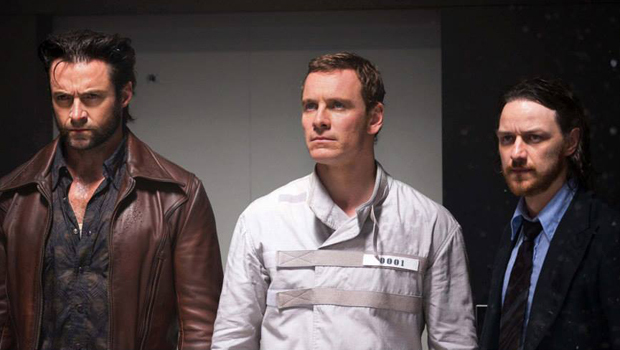 The seventh installment in the "X-Men" franchise earned $111 million, according to studio estimates on Monday. Warner Bros. sci-fi monster smash "Godzilla" landed at No. 2 with $39.4 million from Thursday to Monday. ''Pirates of the Caribbean: At World's End" holds as the highest Memorial holiday debut ever with $140 million in 2007. It appears the attention "Days of Future Past" director Bryan Singer has received lately due to a sexual assault lawsuit didn't deter fans from flocking to the theater. The director dropped out of doing any press for the film following the allegations because he didn't want to divert attention from the movie. "Rarely do outside situations impact the box office," said Paul Dergarabedian, senior media analyst for box-office tracker Rentrak. "The true fans, all they care about is the movie." "Days of Future Past" is the second-highest opener in the "X-Men" franchise after Brett Ratner's "X-Men: The Last Stand" debuted over Memorial Day weekend with $123 million in 2006. The film brings together a massive star-studded cast from both incarnations of the X-Men film franchise, including Hugh Jackman, Jennifer Lawrence, Halle Berry, Michael Fassbender, James McAvoy, Patrick Stewart, Ian McKellen, Peter Dinklage and Ellen Page. Reviews of the film have been mostly positive. Globally, "Days of Future Past" opened No. 1 in 119 countries with $262 million, the highest grossing opening weekend worldwide of the "X-Men" franchise and the biggest Fox International opening weekend ever. "This is a franchise that started back in 2000, which predated the first 'Spider-Man' movie by two years so 'X-Men' started the renaissance in the world of big superhero movies," Dergarabedian said. The Warner Bros. romantic comedy "Blended" debuted at No. 3 with a lackluster $18.1 million. In the movie, Adam Sandler and Drew Barrymore team up for the third time following "The Wedding Singer" and "50 First Dates." Though Sandler's "Grown Ups 2" grossed $247 million worldwide, his box office success has teetered over the years. His 2012 comedy "That's My Boy" earned only $58 million globally, while his 2011 films, "Jack and Jill" and the Jennifer Aniston co-starring "Just Go With It" gained $150 million and $215 million worldwide, respectively. Universal's Seth Rogen and Zac Efron-starring lewd comedy "Neighbors" took in $17.2 million and Sony's "The Amazing Spider-Man 2" earned $10 million to claim the fourth and fifth spots, respectively. Four comedies populated the top 10 with Fox's "The Other Woman" landing at No. 7 and Jon Favreau's "Chef," at No. 9. In 2013, Memorial Day weekend was the biggest grossing weekend of the year with $314.2 million over the four-day holiday that saw "Fast & Furious 6," ''The Hangover Part III" and the animated "Epic" debut. "This year it will be more like $230 million," said Dergarabedian, who notes that next year has a shot at being a record-breaking Memorial weekend due to the debut of Marvel's "Avengers" sequel "Avengers: Age of Ultron."